The State Board of Registration for Professional Engineers and Surveyors was created in 1933 by the Ohio General Assembly to regulate the professions of Engineering and Surveying in the State of Ohio. The Board’s primary responsibility is to determine what constitutes the practice of engineering and surveying. This is in accordance to R.C. 4733 and does not include the funding of the tax map offices which falls outside the jurisdiction of this Board. 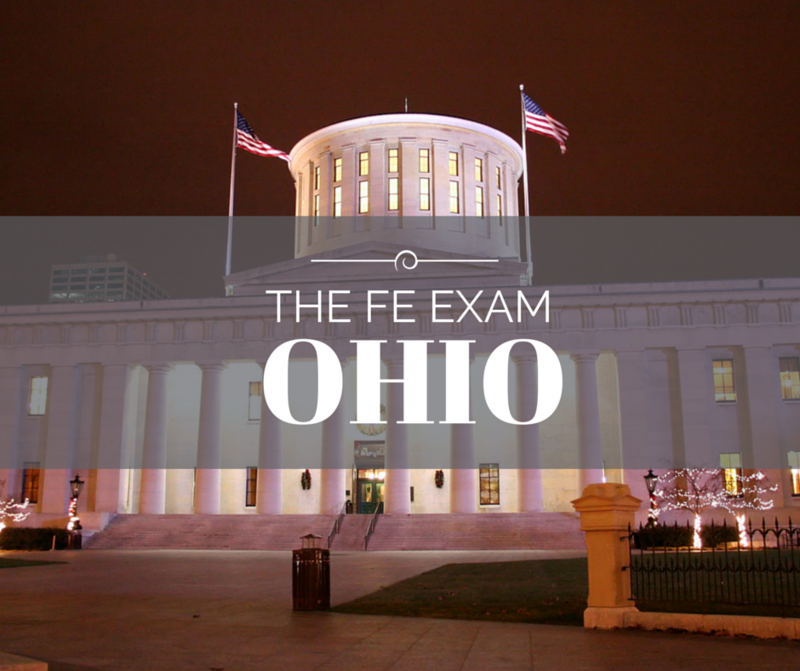 The details regarding the Ohio PE License Requirements, FE Exam Dates, FE Exam Costs, and locations for local FE Exam Reviews can all be found in the Ohio State Board of Registration for Professional Engineers and Surveyors‘ website. When can I take the Engineer in Training exam? If you are enrolled in an EAC/ABET accredited engineer program, you can take the exam before your expected graduation prior to next exam administration. What educational programs are accepted for taking the Engineer in Training exam? Any EAC/ABET or TAC/ABET accredited engineering program. However, further education and/or experience may be required prior to taking the PE exam if you graduate from a program other than EAC/ABET. See the Boards website for details.